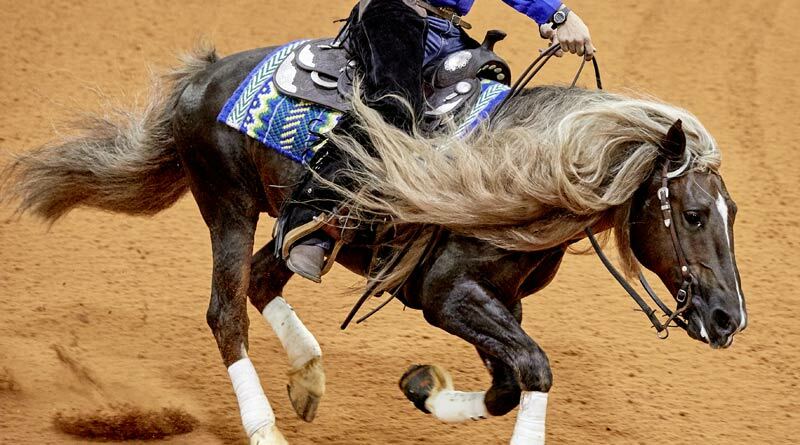 Horse sport’s world governing body the FEI has terminated its agreements with the American Quarter Horse Association (AQHA) and the National Reining Horse Association (NRHA). FEI Secretary-General Sabrina Ibáñez told delegates to the FEI General Assembly in Manama, Bahrain, that the two US-based reining bodies were in breach of the terms of their cooperation agreement with the FEI. Both the AQHA and NRHA have been informed by the FEI that a binding commitment to implement the FEI rules on anti-doping, stewarding requirements and the age of competing horses are prerequisites for any future cooperation. Ibáñez advised delegates that FEI Reining events will continue, and invited National Federations to provide feedback to the FEI on how they see the future of the discipline at international level. Reining became an FEI discipline in 2004, and the FEI signed a cooperation agreement with the NRHA and the AQHA in 2014. The agreement covered areas of common interest including horse welfare, FEI Rules and Regulations, FEI Clean Sport, stewarding, education and FEI recognition. Under the agreement, the FEI had sole jurisdiction over reining competitions for horses aged seven years and over, and the NRHA and AQHA managed all competitions for horses of six years and under. An exception was made for WEG 2014 in Normandy, where six-year-old horses were eligible to compete. The NRHA, based in Oklahoma City, was formed in 1966 and brings together more than 19,000 members, including 1400 youngsters. The AQHA, in Amarillo, Texas, was created in 1940 and is the world’s largest equine breed registry and membership organisation. It first recognised reining as a sport in 1949. It’s a start. Now FEI what are you going to do about the abuses in Dressage. Yes, Debra Hutchings, I agree. Rollkur in dressage = ??? And to respond to comments about young horses, you better advocate to cancel ALL Thoroughbred horse racing, where 2-year old run. If they cannot comply to the rules than they need not compete. I support the decision. There is still a lot of active discussion in the USA AND Canada about this issue. The NRHA and all the diverse Western Performance and breed groups, which have members everywhere around the Word, are formidable entities. I think paraphrasing the words from ‘kicked out’ to removed or withdrawn, would be a more appropriate analogy. We would challenge these ‘kickers’ to ride our turn and burn horses. That might be a real ‘kick’ in your sorry a***. We hold dual Can/Am citizenship. As long time owners, riders, trainers, competitors and supporters of AQHA, NRHA, NCHA, NRCHA and Heritage Ranch Horses, we, and many others, are just fine with NOT being part of the FEI. Tri-Star Performance Horses, CANADA. No other discipline has ALL its competitors for horses over 7 years old under FEI rules… It was an impractical arrangement. Ma fatemi il piacere, tutte stronzate. I cavalli da reining stanno benissimo ed ho visto cavalli di 14 anni gareggiare. Semplicemente nelle discipline inglesi nessuno fiata perché c’è più giro di soldi, scommesse ed è più mondano. Noi del reining ci facciamo tutto da soli, non siamo serviti e riveriti dai groom. Vergognatevi. Ho lasciato dopo 14 anni il salto ostacoli proprio per questo. Il reining è tutt’altra storia. Poi che c’è gente di merda che rompe i cavalli e non li sa trattare, ce ne stanno in tutte le discipline perfino dei trekking. Perciò tappatevi la bocca, cara FEI per me puoi pure affogare nei soldi degli eventi più mondani, non meriti attenzione proprio! built quarter horses have a tough time staying sound without certain “supplements”. Having said that 7 should be the minimum age for ALL FEI competing horses. The minimum age for FEI dressage is 8, for Olympic/WEG level eventing it’s 8, and for jumping it’s 7. Horses competing in a one or two star must be 6 by January of the competing year, three star they must be 7 and 4 and 5 star they must be at least 8. Eventing – for 1 and 2 star, the horse must be 6, three start horse must be 7, four start horse must be 8. Dressage, minimum of six years of age for any international competition. Tests above Intermediate I, the horse must be 8 years of age. Show jumping, for top level, Olympics, World Championships etc, horse must be 9 years of age. Regional, 8 years. Yes, the minimum age is consistent across all FEI disciplines. As I understand it, reining begins serious competition for horses at much younger ages than the other FEI disciplines. I believe reining horses can begin competing at 2 years old? The other three disciplines you mentioned have many participants who don’t even back their horses before 2 or 3 years old, even 4 years old. The average age of Olympic level dressage and event horses is usually about 12 years old, and many compete into their high teens, and yes there are strong demands on the horse’s body. These disciplines typically have horses who develop over years and have very long careers. Yes, they do mature “downhill”. The reason for this is why, I believe, they have been kicked out. The growth plates on QH are wide open till at least 3 years of age. When competitions begin at age 2, they must be started (Broken) at 18 months or so. To be taught to carry a rider at this early age does, indeed cause very early deterioration of the bodies of these horses. Yikes!! I have personally witnessed a Grand Prix jumper winning at age 23. Minimum age for most international competitions is 7-8 years of age. The reasons for this include emotional maturity, physical strength, coordination, balance and confidence. I simply cannot explain the American Rush experience. I love this comment–Great points. C. Reiner, I agree. The FEI, who needs them? We got along just fine before this. As I understand it, the the only way for a horse discipline to be in the Olympics is through the FEI. So it comes down to how important that is. There are a fair number of American riders in Olympic disciplines who don’t think the Olympics is such a positive, other than exposure of the discipline to the general public to help grow the sport. I heard that the only reason reigning was brought into the Olympics/world’s was because the US EF wanted the money from the AQHA membership. This is how it starts, they claim they are protecting the growth of the sport but any day now the smaller and not so exciting or provocative disciplines will be on their own..